David Kappos and Gene Quinn argue that the present patent reform bill is good for independent inventors and small entities. See Kappos Trying to Sell Patent Reform to Independent Inventors. I disagree that patent reform is good for independent inventors or the US economy. 1) Damages – I believe that the patent reform bill still has the provision that reduces damages for infringing. As long as this provision is in the patent reform bill it will damage small inventors and the US economy. 2) First-to-File: I understand and have made the point that very few cases are won by the second to file. 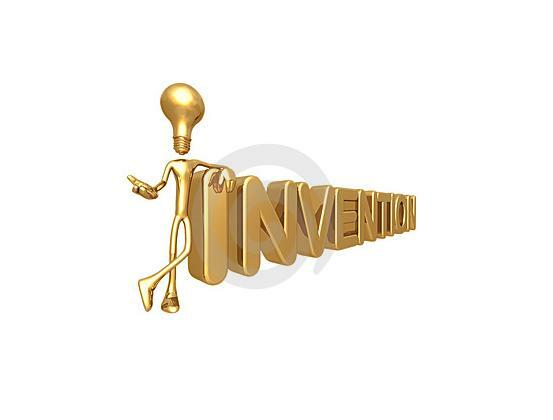 However, a first-to-file system is a first step in eliminating the inventor from the patent process. The next step will be to issue patents to entities, why name the inventors since we are not serious about the true inventors anyway. A first to file system is a fraud. It rewards not inventors but people who are skilled at gaming the system. This is similar to the publication rule. Most patent applications were being published at 18 months anyway and if you did not want to foreign file you could avoid publication. But publication is a breach of the social contract between the inventor and society. Society gets the benefit of disclosure but the inventor may never receive his part of the bargain. Note that immediately after this breach pendancy times expanded and the allowance rate fell off a cliff. Ron Katznelson has done a study showing that pendancy times always expand, usually by a factor of two, when a country adopts publication. 3) Publication: I believe that the present bill requires the publication of all patent applications. As stated above this is a clear breach of the social contract between the inventor and society. Publication discourages people from inventing and filing for patents. If an invention can be kept a trade secret, more people will chose this right to the detriment of everyone. I have been advising more clients to consider trade secret protection. We tried the trade secret route in the middle ages and the level of innovation was pitiful. If an invention cannot be kept a trade secret, investors will be less willing to back a company whose inventions are known to the whole world before the company even gets protection in their own country. Here are my suggestions for real patent reform that would not only help small inventors but the US economy. 2) Repeal KSR: A subject standard of patentability just increases costs and uncertainty associated with the patent process. KSR makes bureaucrats the ultimate arbiter of what is patentable instead of logic. 3) Repay PTO: Congress should repay the over $1B it stole from inventors with interest. 6) Eliminate “Combination of Known Elements”: The fact that the Supreme Court does not understand that every invention in the history of the world is a combination of known elements is pinnacle of ignorance. Have they ever heard of “conservation of matter and energy”? 7) Patent Reciprocity: If you drive your car across the border into Canada you do not lose title to your car. If you take your manuscript across the border into Canada you do not lose the copyright to your manuscript. But, if you take your invention across the border into Canada, you lose your patent protection and anyone can steal the invention – not the physical embodiment, but the underlying invention.